Where’s The Value in a Pasture Raised Chicken? The scale weight of the pastured bird (PC) is all chicken. The scale weight of Industrial Chicken (IC) is chicken plus water, in some cases, a lot of water with lots of salt and other additives. 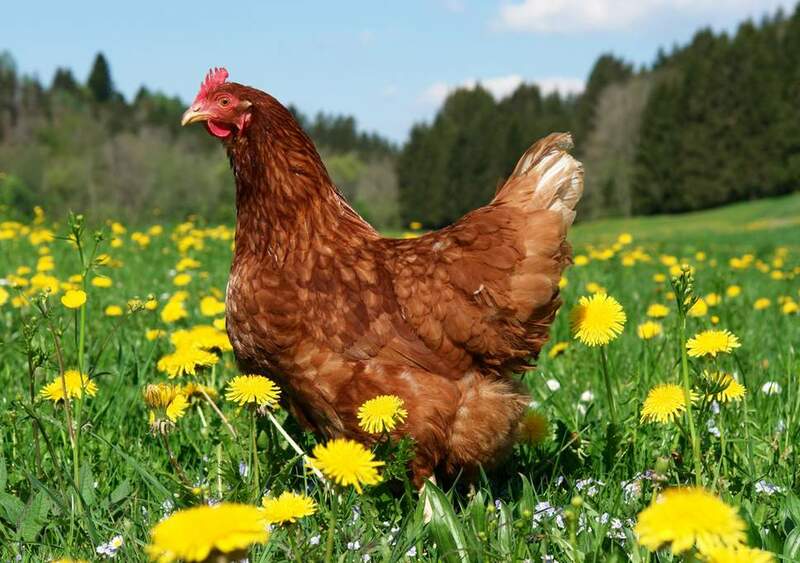 PCs live their lives like…chickens, walking about on their chicken legs eating a robust and varied diet of the good, organic grains that Farmer David puts on their plate plus high protein crawly things and seeds that real chickens love to eat. This varied diet adds to the micronutrients in the meat which is good for you. Multiple Portuguese studies published in “Poultry Science” found that pastured chickens contained significantly higher levels of omega-3 fatty acids than chickens raised without access to fresh forage. They also contain up to 50% more Vitamin A than ICs. Walking about requires some muscular strength which translates into a more dense, stronger muscle tissue. They therefore need to be cooked with that in mind so the result is not tough. The IC birds have no need for actual muscles due to the cramped quarters in which they are raised. Therefore the relatively fluffy muscle tissue will be tender almost no matter how it is prepared. For some recipes and cooking methods the IC may be preferred. Look for those on the cleaner end of the spectrum. The PC birds are clean. Meaning their “toxic load” doesn’t translate into YOUR toxic load. ICs are raised in conditions not naturally conducive to chicken health resulting in the need for increased antibiotics. In addition to disease prevention even more antibiotics are used in combination with arsenic to promote fast weight gain and “improved pigmentation”; that nice pink color that masquerades as a sign of health to the uninformed shopper. The broilers end up growing at such a fast pace that their leg/hip bones and muscles can’t keep pace with their rapid body weight gain and the bird becomes sedentary. The IC is predominantly a Cornish Cross chicken bred for very fast weight gain. The country raises nearly 9 billion ICs per year on just 2,140 farms, from hatchling to nuggets in 42 days. The worker cost, environmental cost, animal suffering and economic degradation of that tremendous volume is all paid (largely in externalized costs) to produce an artificially cheap protein. When you buy a Jubilee chicken you are participating in clean environmental practices, worker dignity, worker safety, good animal husbandry and propagation of species diversity. It costs more to raise a good chicken and it costs more to pay for all of the costs (none are externalized) but you get so much more in addition to being responsible for what you eat. Feels good all the way down! Nothing is wasted. The fat of a PC is a treasure that will add glorious flavor to a multitude of dishes. The fat of an IC is where the majority of the toxins settle so it is not good, or tasty, to eat. When you make stock from the chicken carcass of a PC you’ll notice that the “scum” that rises to the top when simmering is minimal and clean. The “scum” resulting from an IC looks dirty and voluminous. The increased density and nutrition in a PC result in more flavorful and more filling meat. We have grown accustomed to IC meat that acts as more of a carrier for added flavors than having much flavor of its own. So enjoy big flavor and savor the meat as well as the bone broth with gratitude for all of the effort it takes to bring a high quality chicken to market.